Paula Houseman is found treasure. My face kept a near-constant smirk and my reading of this vibrant and cleverly amusing story was frequently and forcefully interrupted, as I was laughing so hard I could not see. I adored it start to finish. I was hard-pressed to put my Kindle down. Ms. Houseman is my new favorite author and I will fangirl her hard. Odyssey in a Teacup is a love song to those who can’t be like everyone else. This is another title that is firmly on my Books of the Year list, and is the first of three books. This book was utterly magical! You know you love a book when you intentionally slow down your reading pace just so you can enjoy it longer! Hands down, a must read 5-star book! Fantastically fun women’s satire. I haven’t read any good satire in a really long time. 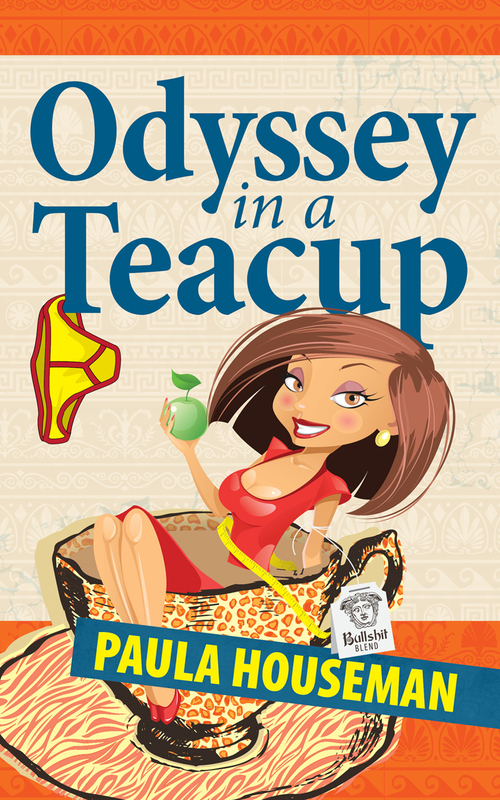 As an American and Floridian, I used to follow writers like Dave Barry and Carl Hiassen with abandon but there is something to be said for international writers and I simply adored author Paula Houseman’s new novel, “Odyssey in a Teacup”. Odyssey in a Teacup is a well written, highly entertaining book — with a terrific surprise ending — no spoilers here. Ruth’s endearing story will capture your heart and make you laugh. For a reading experience, that’s the best you can ask for. Paula Houseman’s Odyssey in a Teacup is epically defiant, bold, brazen, painful, hilarious, soul-fortifying and a must-read for anyone who has ever dared (or hoped) to look at themselves in the mirror and asked the question, How in the hell have I survived? Crazy-brilliant! #1 Amazon Best Seller. Readers’ Favorite Award winner. Ruth Roth can’t help it. Only five years old, and she’s already sporting an up-yours attitude to a ‘yes, sir’ baby boomer society choking on moral purity. Growing up in an era of lookin’-good families, well-behaved, bobby-socked children, and little girls being groomed to be subordinate to men, Ruth stands out like dog’s balls. Education and discipline fail to make a dent. Neither is a match for the driving force in Ruth’s psyche—the ancient goddess of obscenity! So, Ruth’s life plays out like a Greek tragicomedy. Too much dark energy can eclipse even the feistiest, though. And Ruth’s harpylike mother is relentless, haranguing her 24/7: at home, in her nightmares, in her head and through her own eyes in the form of a bitchy mirror. When years of earbashing wear Ruth down, the wild child in her goes underground. But you simply cannot subdue an immortal. The dirty goddess invades Ruth’s thoughts and leads her to idiotic encounters. And Ruth’s lapse into a vanilla existence is also an issue for her lifelong friends—genteel Vette with the ‘big caboose’; ballsy Maxi with the big mouth; and Ralph, Ruth’s hot-looking, obsessive-compulsive cousin and bestie, who needs to do everything twice. Twice. Ruth has survived minor skirmishes. She’s fought battles royal. She’s come back from the war. But she is confronted with her biggest challenge ever when one of her friends sends her spiralling into hell, and she faces an apocalypse. Can she survive it knowing that the decision she must make could launch the mother of all wars in her world?